PROVIDING HOPE. If you've been injured due to negligence, carelessness or intentional act, Michael P. McDonald, Lancaster PA personal injury attorney at law, will stand beside you. MorePROVIDING HOPE. If you've been injured due to negligence, carelessness or intentional act, Michael P. McDonald, Lancaster PA personal injury attorney at law, will stand beside you. Protect your rights with an attorney who is uniquely qualified to provide representation for your personal, auto and workers' compensation injuries. As a nationally board certified specialist, Attorney McDonald is one of the select few in the United States with the power to obtain maximum results for you. Michael P. McDonald is a well-respected litigator throughout local, state and federal courts. He is one of only five local attorneys to be certified by the National Board of Trial Advocacy. As a result of his trial record, Attorney McDonald has also received multiple certifications in his selection to the national Million Dollar Advocates Forum. He is also a respected lecturer of automobile insurance law to attorneys within the Commonwealth. Attorney McDonald received his Juris Doctorate from the Temple University School of Law and his B.A. Degree from Bucknell University . While at Bucknell he demonstrated his strong leadership abilities, being named a National IAA Associated Press Football All-American, a National IAA Coaches-Kodak All-American and a District Academic All-American. 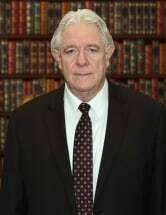 He holds memberships in the American Trial Lawyers Association, the Pennsylvania Trial Lawyers Association, the Philadelphia Trial Lawyers Association and the Lancaster Bar Association. Michael P. McDonald fights fiercely for what he believes inyour rights. He knows exactly how to protect them. His commitment is a personal one to individuals who have suffered loss from those who are legally responsible. It is the commitment of a skilled protector and confidante, providing counsel and security when you are most vulnerable. Michael McDonald is confident of where he stands and your rights will be protected when he stands beside you. Offering a FREE CONSULTATION and NO FEE unless you receive a positive recovery.